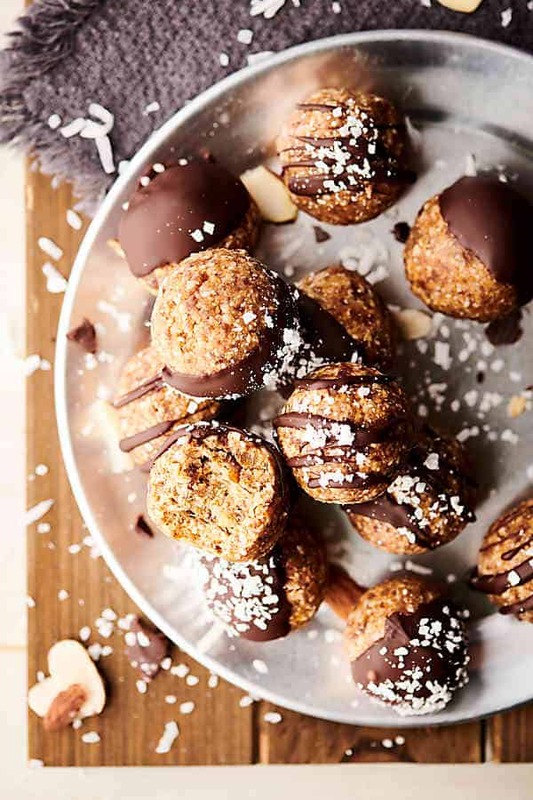 A healthy twist on the classic candy bar, you’re going to LOVE these Almond Joy Energy Bites. 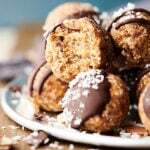 These are naturally sweetened with dates and loaded with almond butter (or nut butter of choice), a touch of coconut oil, oats (gluten free certified if necessary), unsweetened flaked coconut, vanilla and almond extract, salt and drizzled with chocolate! Vegan. Gluten free. 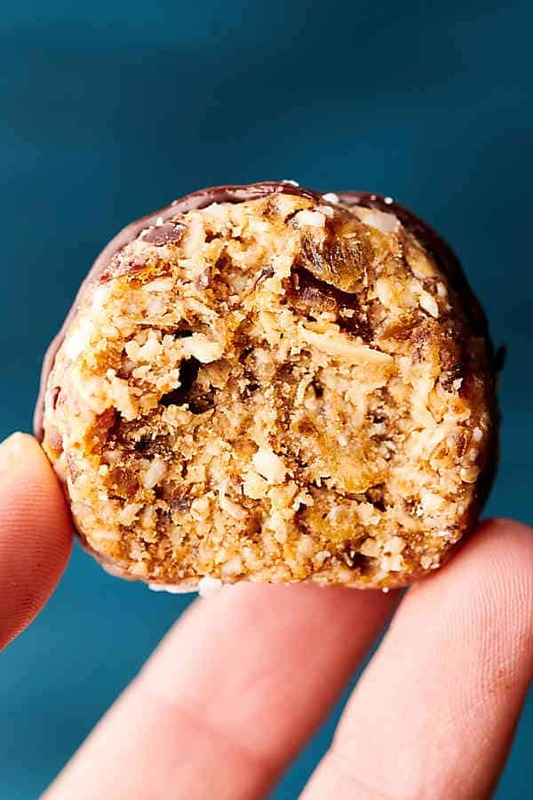 If you love energy bites as much as I do, you’ll also love: peanut butter energy bites, honey walnut granola bar bites, and no bake protein brownie bites. If you’ve never had an energy bite, let me just say, you’ve been missing out. 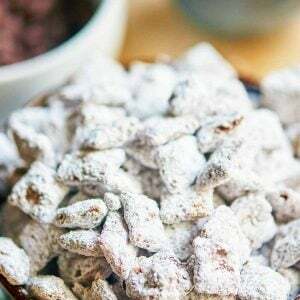 Typically, energy bites are quick and easy, healthy, no-bake treats that are meant to satisfy your sweet tooth – which for me – is raging 24/7. 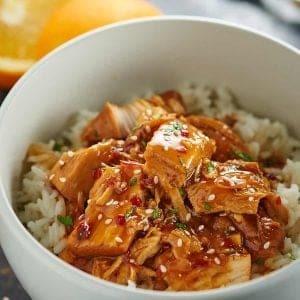 I have quite a few energy bites on Show Me the Yummy already and I’m always looking for new flavor combinations to make . . . especially since most of my variations involve peanut and/or chocolate, ha! Today, however, we’re making almond joy energy bites. My sister LOVED almond joys (you know, the almond, coconut, chocolate candy) growing up and I always thought she was so weird . . . Since then, my palate has definitely grow up a little, and I’ll take alllll the coconut. 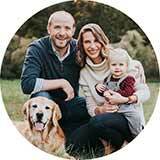 But today, we’re ditching the processed sugar laden candy and keepin’ things healthy. Line a rimmed baking sheet with a silicone baking mat. Place almond butter, dates, coconut oil, oats, coconut, vanilla extract, almond extract, and salt into your food processor. Process together until well combined and the mixture easily sticks together when you squish it in your fingers. Use a medium cookie scoop to scoop the dough into 17 even bites. Roll them into balls and place them onto the prepared baking sheet. Place dark chocolate chips and coconut oil into a microwave safe dish. 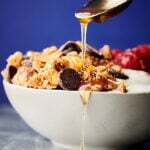 Drizzle or dunk each bite with or in the melted dark chocolate. Place in freezer, again for 30 minutes to harden. Store almond joy energy bites in a sealed airtight container in the fridge. 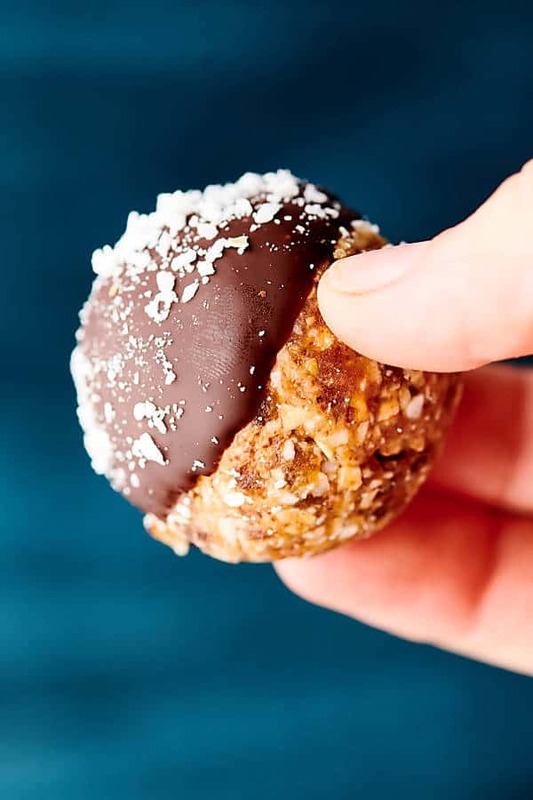 Quick, easy, healthy, and truly reminiscent of the “real” almond joy, I’m just obsessed with these energy bites! Chewy coconut, nutty almonds, melty dark chocolate . . .
. . .can you believe these are actually good for you?! What other energy bite flavors do you want to see? Show Me the Yummy! 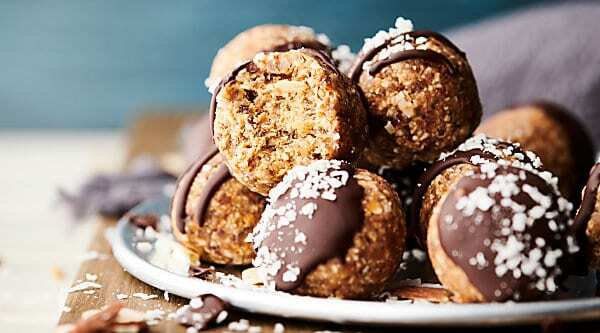 A healthy twist on the classic candy bar, you're going to LOVE these Almond Joy Energy Bites. 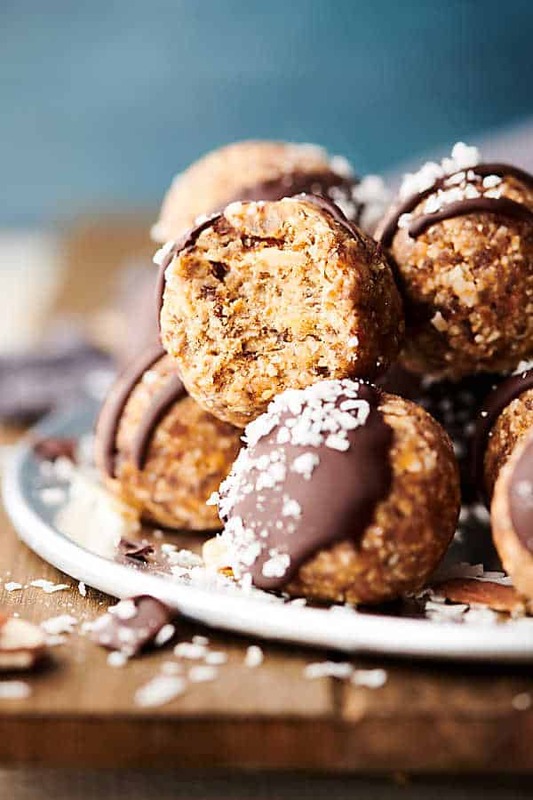 These are naturally sweetened with dates and loaded with almond butter (or nut butter of choice), a touch of coconut oil, oats (gluten free certified if necessary), unsweetened flaked coconut, vanilla and almond extract, salt and a drizzled with chocolate! Vegan. Gluten free. 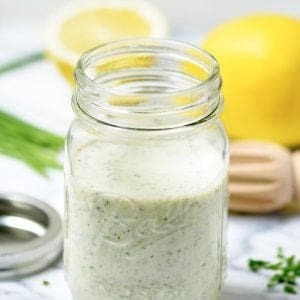 Place almond butter, dates, 2 tablespoons melted coconut oil, oats, coconut, vanilla extract, almond extract, and salt into your food processor. Process together until well combined and the mixture easily sticks together when you squish it in between your fingers. Roll them into balls** and place them onto the prepared baking sheet. Place dark chocolate chips and 1 teaspoon coconut oil into a microwave safe dish. Microwave until melted, in 30 second intervals, stirring in between. *Feel free to use more or less chocolate, to taste! **Sometimes you need to work with them a little bit if they’re crumbling on you. Just be patient and gently squeeze the mixture together in your hands, then gently roll them into balls.